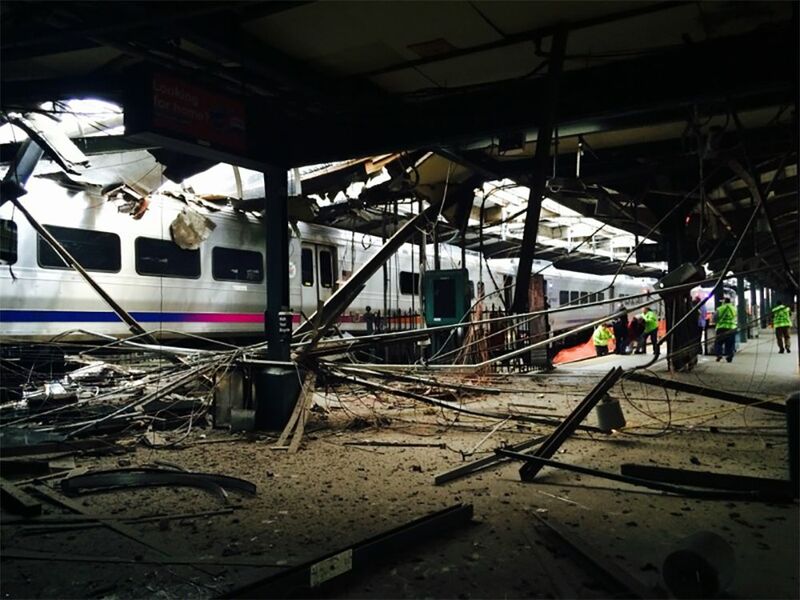 On September 29, a train accident shook the walls of the Hoboken Terminal in Hoboken, New Jersey. New Jersey Transit, the state’s primary public transit system, was in charge of both the train and the station. The agency came forward right away to report that the incident resulted in three confirmed deaths and over 100 confirmed injuries, some of which landed the injured in critical condition. Reports from passengers that were not hospitalized claim that the train felt as though it was moving too fast, and wasn’t slowing down prior to the accident. After the collision, chaos ensued. There were reports of people climbing from windows and others on the pavement. Many were injured and several were unable to walk. Nearby hospitals and care centers rushed to aid the passengers from the accident. The Hoboken University Medical Center received 23 patients, while the Jersey Medical Center took in 66 patients, even converting the hospital cafeteria into a temporary care center. Many patients were treated for minor injuries such as bruises, bumps, and chest pain. Officials reported a total injury count of 108 individuals, including those with smaller injuries and the train operator himself. Reports from local news outlets suggest that the train accident may have been caused by accidental issues, or an operator error, however, as of this writing, the investigation remains open without a full conclusion regarding what the cause was. Investigators have reported that, after a background check, the train operator did not have any past career red flags. 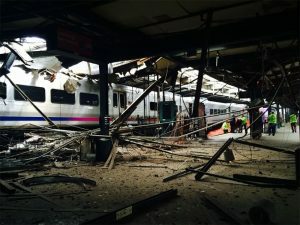 The train, however, was reported to not have been equipped with a system called positive train control, which is designed to slow down speeding trains. This system is required to be installed on all trains per U.S. federal law. When a person is seriously injured in a train accident, they can be left out of work for months, and have a number of medical bills as well. Many times, if a person wishes to pursue a case against a transit authority there are a number of factors that must be considered. The first of which is that many trains are not privately owned. There are a few , many transit authorities are extensions of a state government. If this is the case, in general, many states have a much smaller statute of limitations when cases can affect them. The next thing to consider is that train accidents rarely affect more than just one individual, you may want to consult with an attorney along with others to see if there is a benefit to bringing a class action suit against the transit authority. Many forms of public transportation are overseen by or under the authority of the government. If you or a loved one has been in injured in New Hampshire while riding public transportation, contact the personal injury attorneys at Tenn And Tenn today to discuss your legal claim.